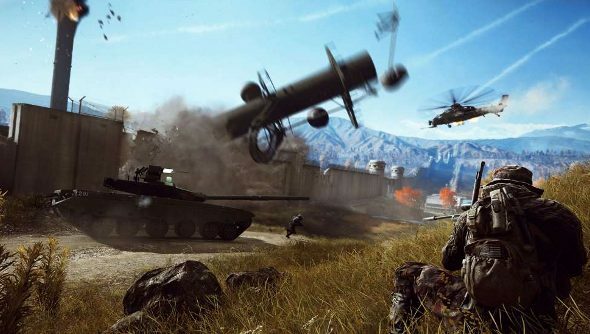 If you wanted to get Battlefield 4 and all of its DLC right now, you’d need to drop just shy of £57. That’s for the Battlefield 4 Digital Deluxe Edition and Premium membership, the latter of which is on sale at the moment. Hold onto your money. Come October 21st, Battlefield 4 Premium Edition will launch, complete with all the DLC, personalisation options and 12 gold Battlepacks. And it will only set you back £39.99. That’s the same price as the Premium membership. When the Final Stand DLC launches this autumn, you’ll get that for free as well. It sounds a bit like Battlefield 2142, so you’ll definitely want to take it for a spin. So wait two weeks and save a bit of cash.